Ever seen ninja warrior? 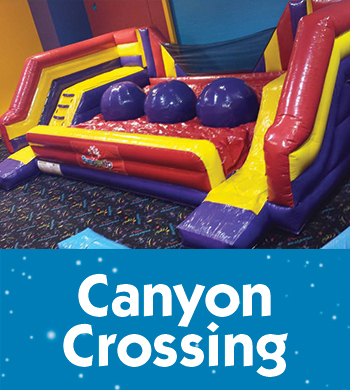 Come out to test the new course! Brand new Inflatable for the kids to talk about with their friends. 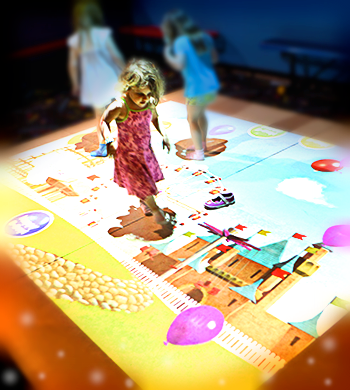 This projection based game turn the floor into interactive fun. 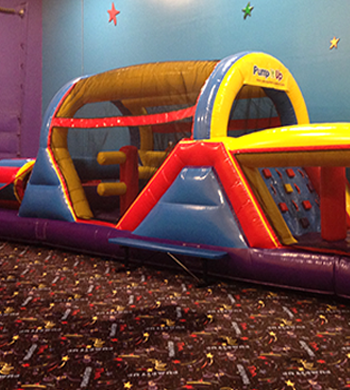 Motion Mania encourages kids to engage their imagination through play. 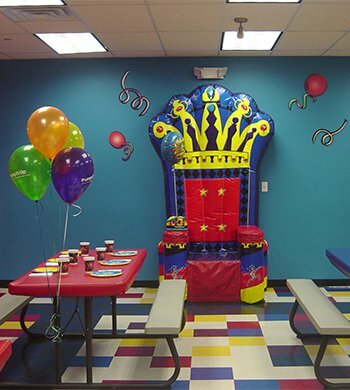 Our custom playlist includes a variety of games including Balloons, Super Soccer, Ball Pit, Piano, Disco Floor, & more. Have you ever seen wipe out? 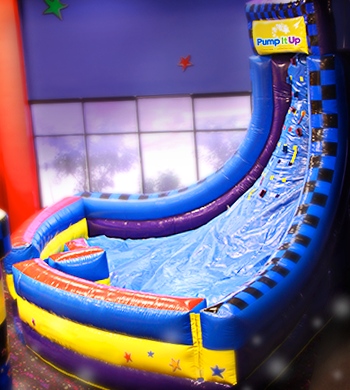 This is one inflatable you got to try! 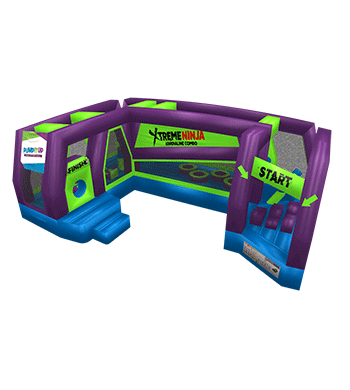 Play a game of hoops, dodgeball, volleyball, hop-scotch, joust or just bounce with your friends on this huge inflatable. 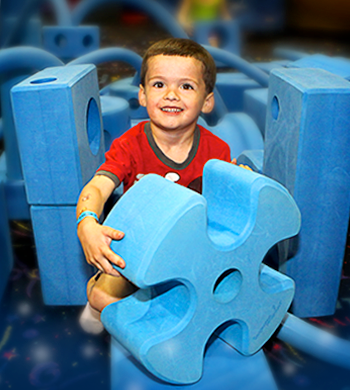 Turn these blocks into a tower, a fort, a bridge, or house! Whatever they imagine-they can build with these huge blocks! 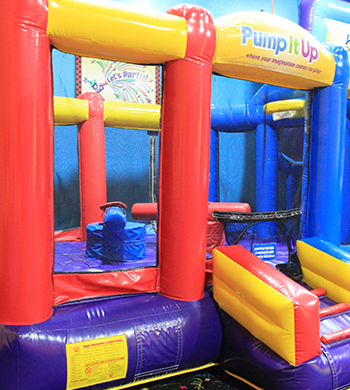 Whoever jumps, climbs and gets thru this maze the quickest wins. A real fun battle for all ages. 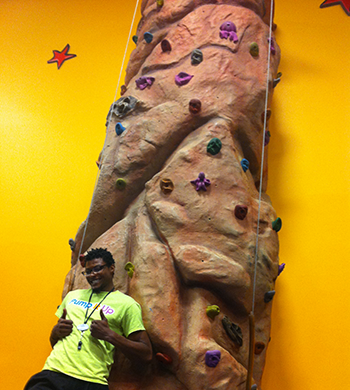 Kids love the rock wall. We put the kids into a safety harness and they go away climbing to the top of the wall. 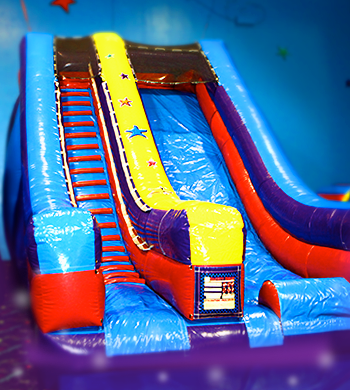 Who doesn't love to climb up a 20 foot set of steps and then whiz down a comfy inflatable slide!! 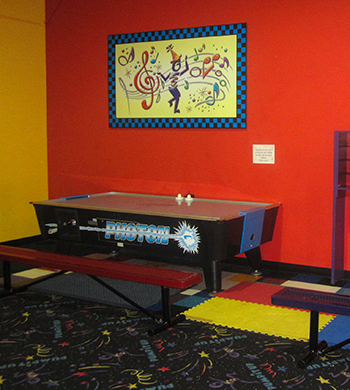 Get your game on with our awesome Air Hockey Table!